In a recent interview of a prosecutor, he expressed surprise that most of the people charged with commercial crime were normal and honest. Yet in a recent survey of a company, 41% of the staff had observed unethical behaviour over a twelve month period. Say to the employee that as the reason for the product returns isn’t clear, let’s do our own investigation to verify if the strategy is the cause of product returns. Only then should we inform senior management. If the manager chooses the second option, it tells the employee the manager is prepared to compromise on transparency and ethical behaviour. If the employee or other members of the manager’s staff then act dishonestly, it will be impossible for the manager to act since the manager is now effectively compromised. If staff are aware of a culture where speaking out on unethical behaviour is either ignored by management or, worse, the staff member speaking up is victimised, then accountability essentially goes out of the window. Speak to your staff often about the importance of ethical behaviour – not just when staff or management are caught out. 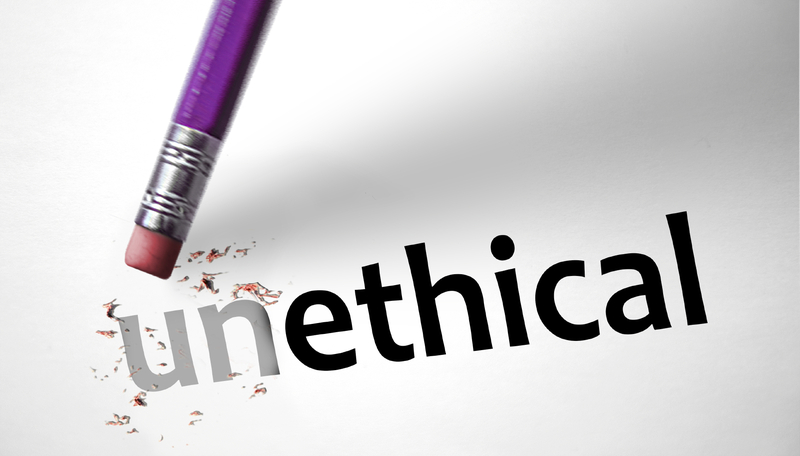 It is important that staff are made aware that ethics is not a relative matter but often involves painful choices. If staff are measured on goals that are virtually impossible to achieve, then there is the likelihood they will cut corners or “fudge” the results. No one wants to be seen as a failure or underachiever, so set realistic goals. Some goals can encourage staff to act dysfunctionally – if say management wants to see a growth in sales but also needs to cut marketing costs, then sales staff could decide to oversell to customers. In the short term this will mean achieving sales targets but it will also lead to customers returning the excess stock, increasing administration costs and risking the potential for stock write-offs. Staff see this situation as unfair and thus could think they are entitled to act in a way clearly against the interests of the business. Think through the objectives you set for your staff and always act in a fair and transparent manner – in the long term it will be worthwhile. The last thing you want to do is to inadvertently encourage your employees to act in an illegal or unethical manner.